Hey, it's meMEGAMIND! Welcome to the first ever post in strategy and deck building! Today I'll be discussing a new deck brewed in my basement, the Dark Baitdown! This is a Beatdown (duh) with a little bit of Bait involved. -Golem: It's a walking tower that explodes into miniature versions of itself. This card is a BEAST. It takes forever for your opponent to kill it, especially when you clear out those swarms with zap and log. -Ice spirit: Extremely versatile utility / cycle card. Ice spirit resets inferno tower/dragon (the biggest threat to your golem), clears swarms, deals chip damage, cycles, and does just about everything else. -Goblin Barrel: This deals MASSIVE damage when tower is locked on to anything else. Hard countered by Log, Soft by zap. Use this to your advantage! They will try to reset your dark prince with these two cards, hence the bait part of the deck! -Log: With spell bait running rampant, it is very important to have this in your deck. Kill Goblins, Princesses, Spirits, Skeletons, reset charge units, and do more technical things. -Dark Prince: Way underrated card. He takes out medium health units with a charge and a hit! 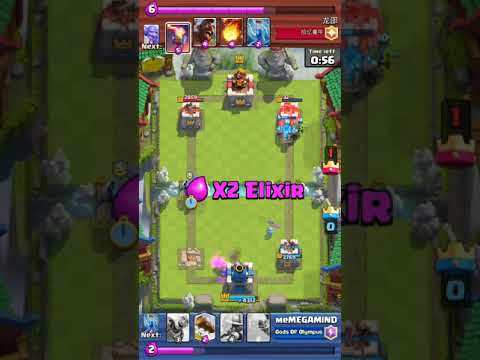 (Or just 3 hits) Sometimes an opponent might let a low health Dark Prince get a charge off on their tower, which is great for you! This card can't be surrounded while charging; He does 360° splash. He also does an amazing job of clearing the swarms off of your Golem. -Mini P.E.K.K.A: This little monster one shots anything that's not a tank! Very high dps also helps take out anything else. Note: Replaceable with goblin gang to make the deck more baity, or with sparky / knight if your mini P.E.K.K.A is underlevelled. -Zap: Wonderful utility card that takes out swarms, resets targeting, and stuns troops. Also looks cool whole doing it. If the opponent has minion horde, THIS IS YOUR GREATEST TOOL! -Musketeer: I'm kind of using this as a placeholder because I don't have Electro wizard. Electro wizard is a much better alternative. Seriously, use Electro wizard. He is a walking Zap. Musketeer is a high dps card that usually goes behind your golem. When you play this with dark prince and golem, you have a pretty unstoppable push going. Anything they place gets eaten up pretty quickly by musketeer. -Minute 1: Defend, defend, defend! Cycle and get chip damage with the bait aspects of the deck. Playing your Golem in the first minute is pretty detrimental to yourself. Use this minute to learn your opponent's deck! -Minute 2: Playing your Golem here is optional. If you would like, you can wait until double elixir and keep baiting. If you want to play your Golem now, make sure you know your opponent's counters so you can prepare in advance. Example: Your opponent has a minion horde. You place a musketeer behind your Golem. Musketeer doesn't one shot minions, so you also place ice spirit. They deploy their minion horde, which gets frozen by the ice spirit and cleared out by the musketeer within 6.6 seconds, 1.5 of which the minions are frozen. -Minute 3: Playing your Golem is a necessity now. Use the same prediction strategies I explained in minute 2, and Take the win!!! This is a difficult matchup due to the P.E.K.K.A; We don't have many cards to stop it. 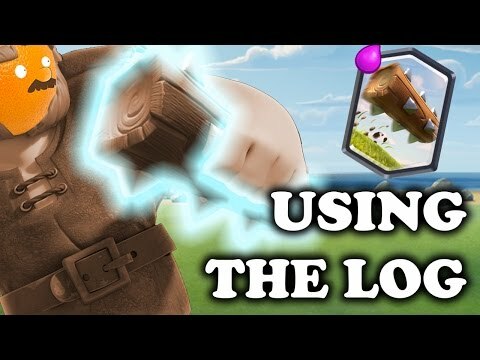 Use your Mini P.E.K.K.A to deal with their Hog rider. I would refrain from playing your Golem until they place their P.E.K.K.A in the opposite lane: it will just get eaten up by their P.E.K.K.A if you use it in the same lane. Use the bait part of the deck to your advantage! Chip away for the win! If you really need to kill that P.E.K.K.A, use a Dark Prince/ Golem to take the hits while your Mini P.E.K.K.A or Musketeer / Electro Wizard destroys her! This matchup is way too easy. You have zap AND log, plus dark prince. Log the Princess, Mini P.E.K.K.A the Knight / Hog, Dark Prince the Goblin Gang, and Zap the Goblin Barrel. Inferno tower poses a problem for your Golem, but your Ice Spirit, Zap and Electro Wizard should take care of that. You have a Mini P.E.K.K.A Just run the general gameplan. Again, you have a Mini P.E.K.K.A, which destroys those buildings in a heartbeat. (you can also exploit the mortar bug ) Use general gameplan. They WILL outcycle you with their Hog. You can alternate countering Hog with Mini P.E.K.K.A and Musketeer / Electro Wizard. They can't stop your Golem! Use the musketeer's very long range to your advantage. She can snipe the miner from the other lane, out of range of the Poison, and then counterpush. Your spells, Dark Prince, and Ice Spirit can take out any small troops. You should have Electro Wizard for that Battle Ram, and your Mini P.E.K.K.A obliterates Night Witch and Bandit. You don't see much of this, but it is most likely the toughest matchup; You don't have many air targeting units. Use your Musketeer / Electro Wizard Wisely! Make sure it targets the Balloon BEFORE the Lava Hound. If you really see this deck a lot, consider swapping Mini P.E.K.K.A for Mega Minion. This is difficult. Mostly reserve your Dark Prince for Executioner and Mini P.E.K.K.A for Hog Rider. Your Musketeer / Electro Wizard is the only troop vulnerable to lightning, so they won't get much value out of that. You're screwed. Three crown them before they three crown you. Zap sparky, take it out with a Dark Prince (His shield is useful), or do both. Reserve your Mini P.E.K.K.A for Giant / Hog. Post any decks you think I missed! I'm meMEGAMIND, an avid Clash Royale player with a thirst for numbers and strategy. I enjoy helping other people get trophies! On weekdays I eat, sleep, go to school, and play CR. On weekends, I eat, sleep, and play CR. I hope this thread helped you! They both have high dps, but goblin gang is vulnerable to spells! Choose wisely! You could try lightning in place of zap, but you'll need electro wizard on defense since you don't have a spell targeting air troops. Also, with the new lightning nerf, they have more anti - lightning positions. Try it at your own risk -- I've began to substitute Mini P.E.K.K.A with goblin gang, so if they have an inferno tower I can play bait. I played against a hog cycle deck but they kept killing my Golem plus dark prince and MP with small units and a cannon. The game went 3 and a half minutes but since the hog kept chipping the tower gainer my MP they won. What would you suggest? @BUFFTHEROCKET Hm... By small units do you mean minions and bats? Because the dark prince + golem shouldn't be vulnerable to small ground units. You could replace log with arrows; they get there quicker and also hit air. If the dark prince dies before he can clear swarms and you can't get your golem to the tower, you could try replacing mini P.E.K.K.A with knight or goblin gang. Goblin gang would make the deck more baity and give you an alternative way to win. Knight has more health than mini P.E.K.K.A and can deal with swarms more easily. @Electro Thanks! I worked hard on it! This is a really cool deck. I love the bait element - Goblin Barrel can be so efficient here. Though you don't really have any other cards to bait their goblin counters with. I find it interesting that you use Mini P.E.K.K.A. instead of the usual Mega Minion. Cool choice. I think it's a good defensive option. Dark Prince is also a bait killer. Basically this whole deck is a bait killer that then throws in a little bait element itself to taunt the bait users. I love it! Nice deck! Can I replace the DP with the Prince as I don't have him yet? And what can I replace the Ice Spirit with? I'm not in Frozen Peak yet. @XtremeGamer234 The big selling point on the dark prince is the splash damage. I would definitely use valkyrie. As for ice spirit, You could use skeletons, spear goblins, or fire spirits. Maybe this will help you get to frozen peak! Good luck! @meMEGAMIND Thanks! I’ll try using arrows as I was referring to a combination of bats, spirits, and minions. The spirits are especially annoying since they can jump onto the dark prince unless he is charging. Thanks bud! I'll definitely try out the deck! I'm definitely going to try this. I'm a big fan of the beatdown archetype and always love using Golem. Throwing in a bit of bait might be interesting too. One question - how do you beat Inferno Tower? I know you have zap but an Inferno Tower is capable of charging 5s, being zapped and then charging another 5s to unleash its final charge DPS, since it is easy to distract the support troops using cards such as Ice Golem, Knight and Goblin Gang. For me using Zap instead of Lightning always results in this. All hail TheBlastoise for this awesome new forum! @PhantomPhoen1x You could try lightning jn place of zap, but you'll need electro wizard on defense since you don't have a spell targeting air troops. Also, with the new lightning nerf, they have more anti - lightning positions. Try it at your own risk -- I've began to substitute Mini P.E.K.K.A with goblin gang, so if they have an inferno tower I can play bait. Hope this helps! Approximately how much do you see inferno? I see it maybe every 3 games.